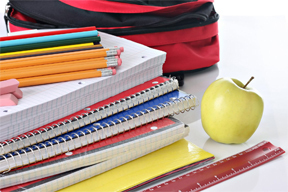 City of Chicago students went back to school on September 2, 2014 and consumers should be on alert when buying back to school supplies. The Department of Business Affairs and Consumer Protection (BACP) investigators recently completed its Back to School Project to ensure parents are paying correct prices for school supplies and children’s school bags will be packed with safe supplies and food items. The Back to School Project began in July and BACP investigators visited 117 businesses and at least one store in each of the City’s 50 wards. During the investigation, investigators purchased school items such as pens, notebooks, highlighters, wipes, zip-close bags, facial tissues, binders, calculators etc. and also looked for outdated merchandise. The probe found 65 businesses in compliance with the City of Chicago’s Retailer Rules and Regulations, and 52 were not in compliance. Violations included outdated merchandise, and promotional or price irregularities resulting in 170 tickets being issued, which carry fines between $2,000 and $5,000. Consumer protection information can be found on the BACP website, www.cityofchicago.org/BACP and @ChicagoBACP and /ChiSmallBiz. To report a problem or file a consumer complaint with the Department of Business Affairs and Consumer Protection, call 311 or visit www.cityofchicago.org/BACP.